I asked one of the children to write down the recipe and I went to the store buy the ingredients for the recipe: Pizza in a Bowl. Moreover, this dish is now served in my program once a month and today I am going to share the recipe with you. If you really want to get creative, add some olives and veggies! The children will love it and this dish meets the Child Adult and Food Program guidelines. Do you plan to add this dish to your menu? If so, be sure to tell me what the kids thought about the recipe. For more menu ideas, check out the Healthy Child Care Menus ebook! If a childcare business wishes to succeed, it is vital to take the right steps. Parents must feel that they are making a smart decision when they send their child to a certain business. If a business fails to instill confidence, it may suffer in the long run. The information below may help a childcare center. 1. Experienced Staff – Experienced staff is necessary when it comes to running a respectable business. Parents wish for their children to be cared for by people who know what to expect. These staff members must know how to handle various situations. If a child falls down, a staff member should be available to help the child and tend to any wounds. If a child is sick, the childcare center should have the necessary information needed to contact a doctor. A staff member who is unable to tackle a childcare situation may not be appropriate. 2. Fun Activities – It could be said that children enjoy entertainment. It is not enough to place a child in a care center and leave him or her for a few hours a day. A child should feel content in his or her new surroundings. Parents want their children to feel happy and appeased while a parent is at work. A skilled care business should provide children with toys and other activities. The toys do not have to be expensive; a business may wish to purchase items in bulk or ask for donations. However, the items should be safe. 3. Video Surveillance – A video surveillance system has many benefits. Video cameras allow a business to protect itself from any disputes. The cameras also protect children and their caregivers in the long run. Some parents are exceptionally busy, and they may miss out on valuable moments. If a child says his or her first word, a parent may be able to see the moment on video. Videos do not take up a lot of space; the videos may be stored just about anywhere in a building in data form. A center may wish to charge money for videos and bring in extra funds. The world of childcare is competitive; a parent may feel overwhelmed due to the possibilities. It is crucial for a business to attempt to stand out from the competition. If a business is new, it should do as much research as possible. It should ensure that experienced staff members are available, and the business should keep the information above in mind. 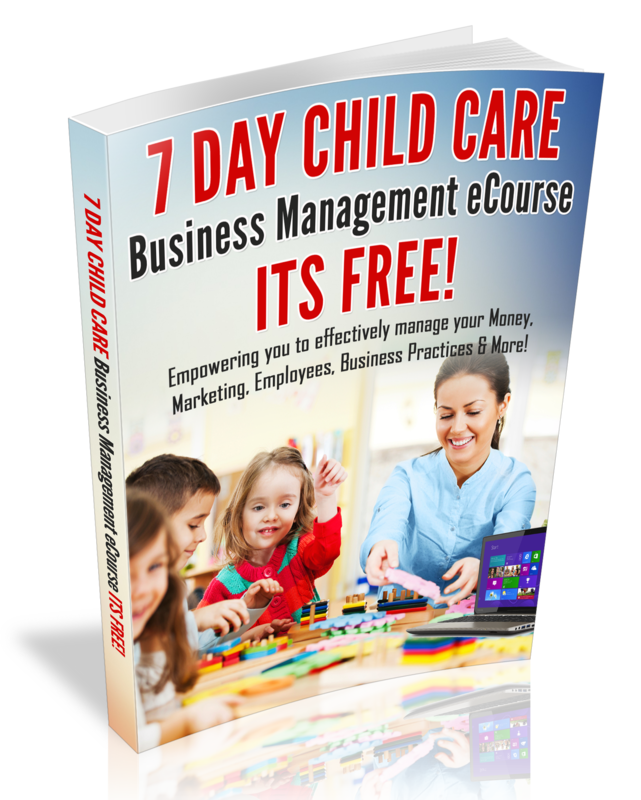 It is not enough to exist; a childcare business should take the right steps to ensure that everything runs smoothly. Parents should feel confident, and children should feel happy; that is paramount. Ken Myers as an Expert Advisor on multiple household help issues too many Organizations and groups, and is a mentor for other “Mom-preneurs” seeking guidance. He is a regular contributor of “http://www.gonannies.com/”. You can get in touch with him at k.meyerst20@gmail.com. Would you like to be a contributor for the Child Care Business Owner Blog? If so, check out our blog post submission guidelines, click here.